View of the old monastery wall. Watercolor on paper, signed with monogram low left. 13 x 20 inches. 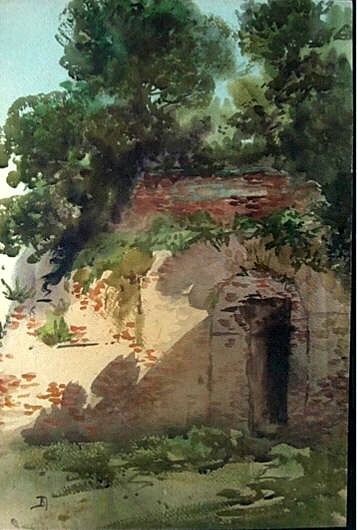 A study for the larger painting sold at Christie’s Important Russian Pictures, London 30 November 2004, lot 112.